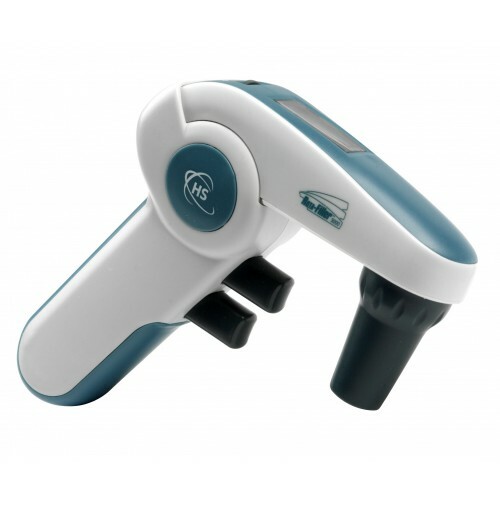 This pipette controller features a patent pending adjustable pivot arm and liquid crystal display indicating battery charge and speed settings. Following in the Rota-Filler tradition, the Rota-Filler 5000 is ergonomically designed for end-user comfort. The adjustable pivot arm rotates to five positions: 0°, 5°, 10°, 15°, and 20°. This allows for more flexibility especially when working in restricted spaces; such as fume-hoods or clean cabinets. Accommodates pipettes ranging from 1 to 100 mL and comes with two extra hydrophobic 0.45μm filters that fit in the autoclavable polypropylene nozzle.